Sometimes the best way to spend a little time with your special someone is to head to the local bookstore and browse some of your favorite authors. Here are a couple of Denver’s best that you may want to check out. 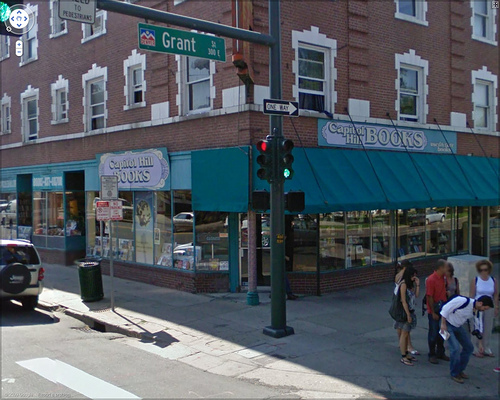 The Tattered Cover is one Denver treasure. They only recently decided to carry used books as well as new, but you’ll find an atmosphere that is perfect for hanging out and flipping through the pages of a new discovery. Or head to Capitol Hill Books for a mix of media. From the latest best sellers to movies and even antique books, they’ve got a bit of everything. And if you’re a bit on the geeky side, hit up Kilgore Used Books and Comics. You can pick up a copy of a classic alongside a couple of graphic novels.